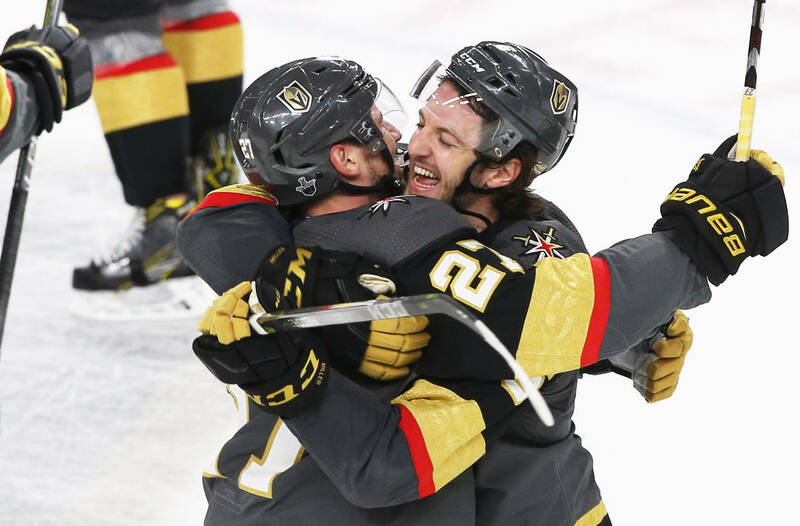 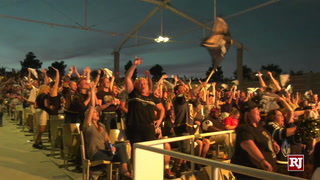 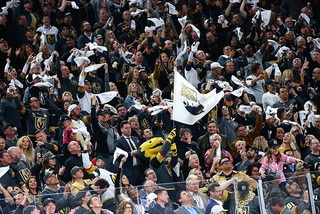 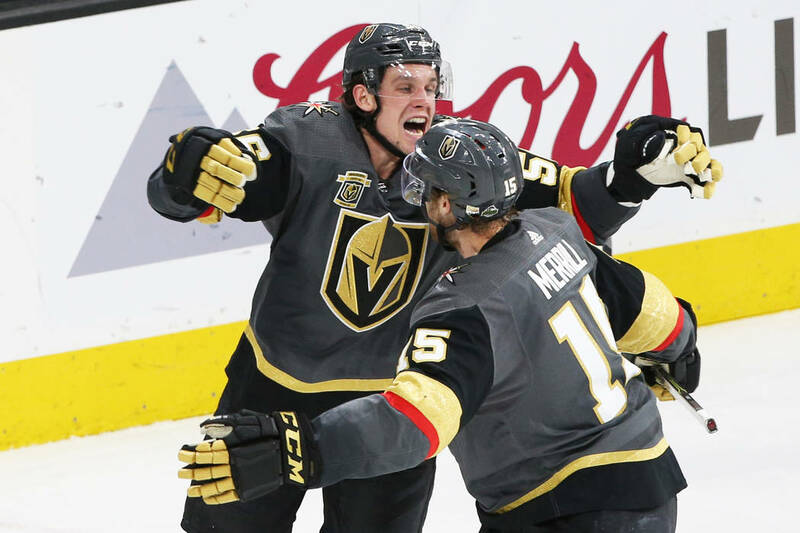 Erik Haula scored at 15:23 of the second overtime to give the Golden Knights a 2-1 victory over the Los Angeles Kings in Game 2 of their Western Conference quarterfinals Friday night at T-Mobile Arena. 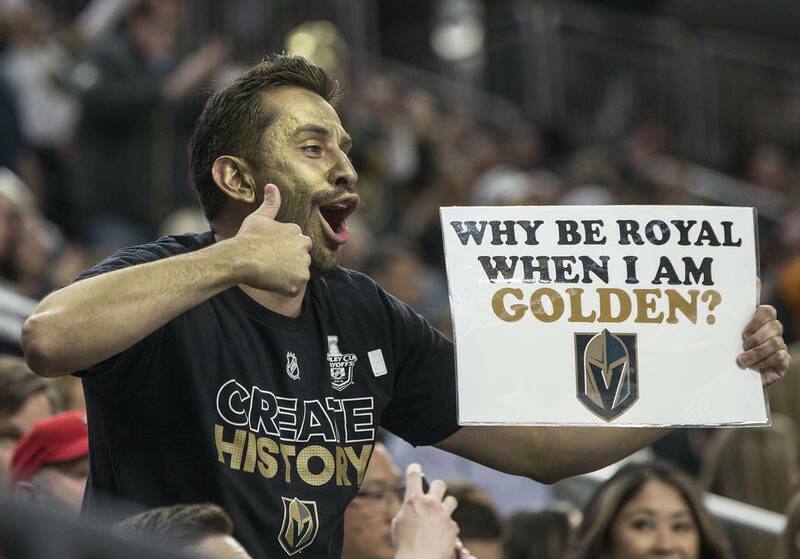 On the 56th shot of the game by the Golden Knights on Friday, No. 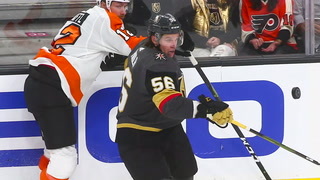 56 provided the winner. 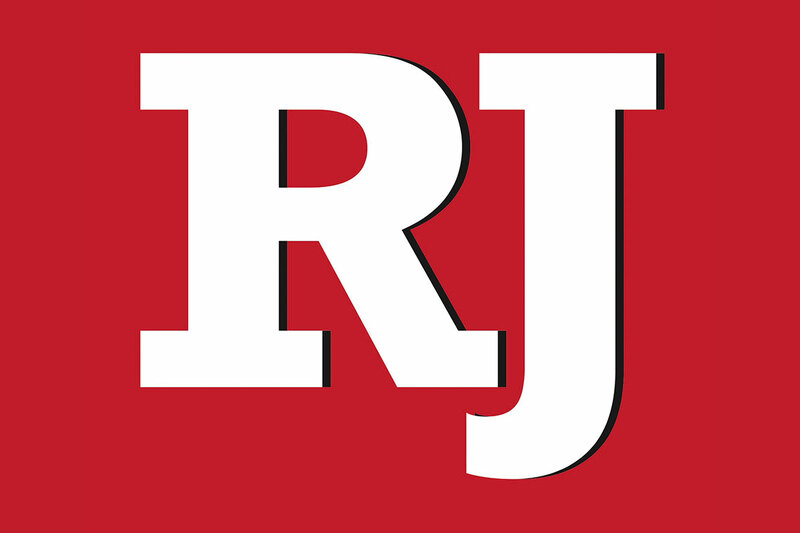 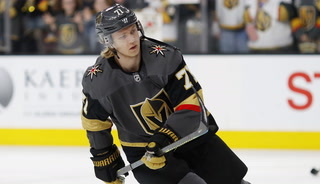 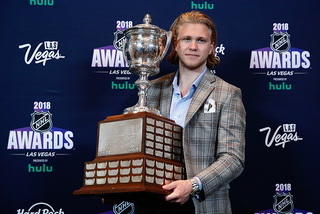 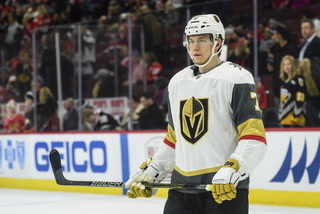 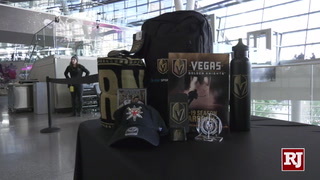 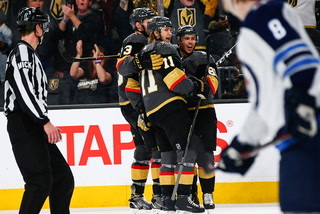 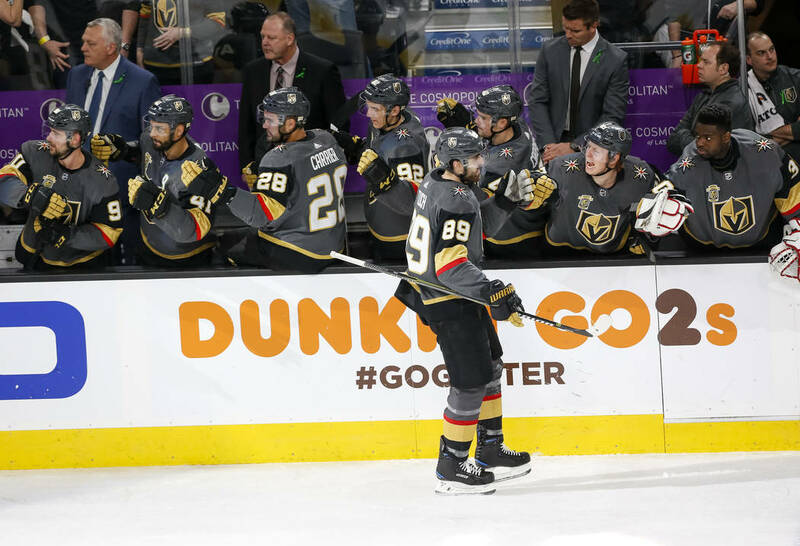 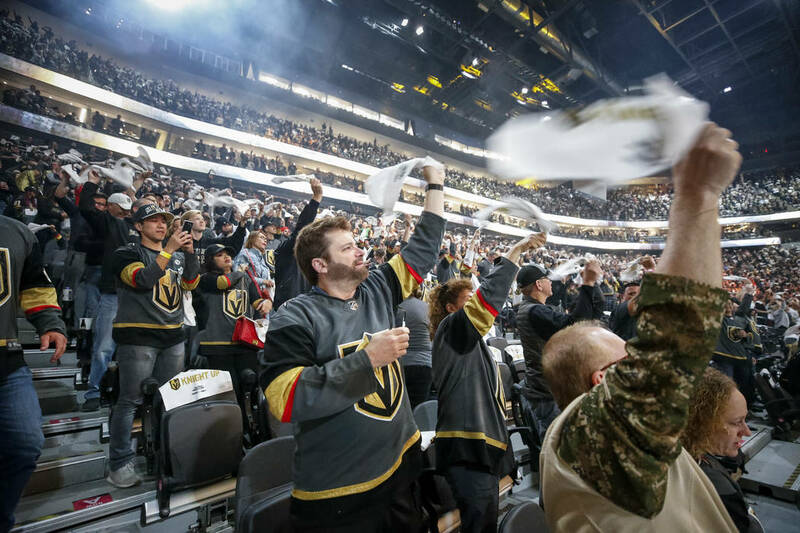 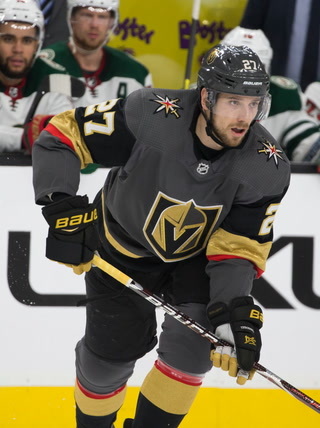 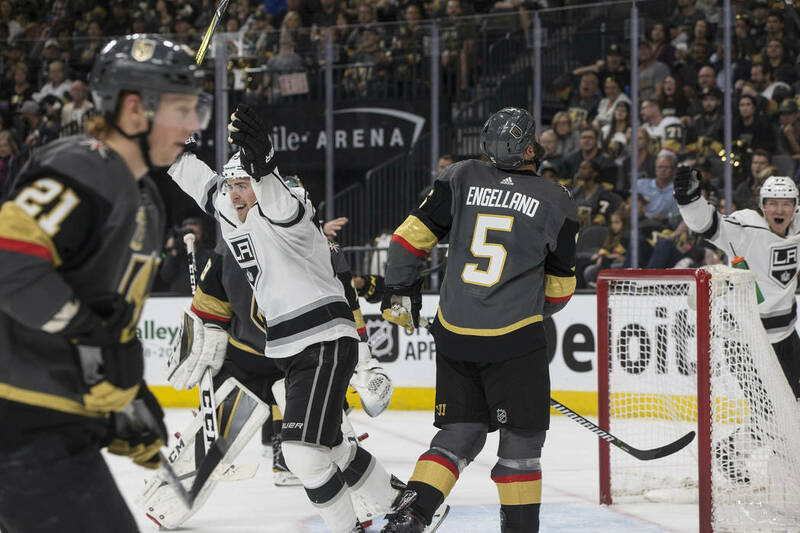 Erik Haula scored with 4:37 remaining in the second overtime, and the Knights outlasted the Los Angeles Kings 2-1 before an announced crowd of 18,588 at T-Mobile Arena. 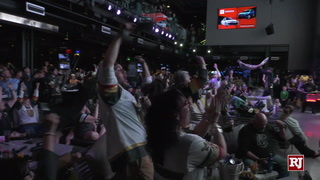 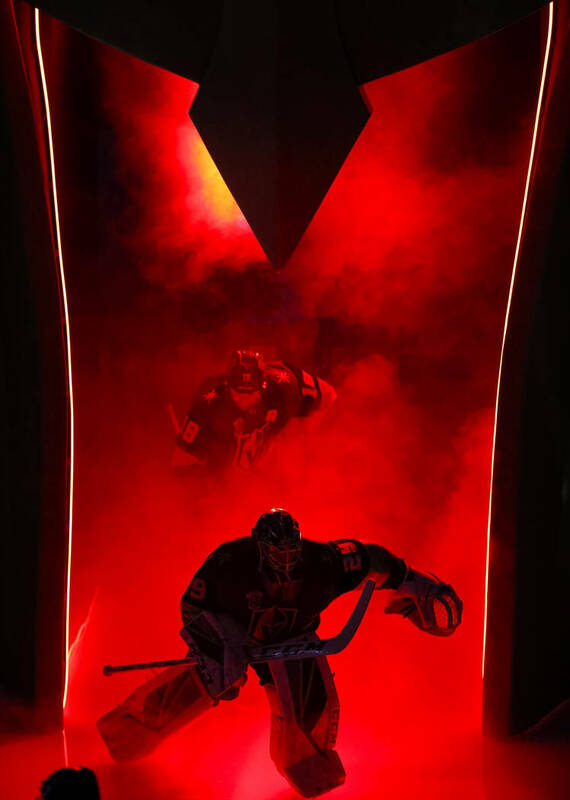 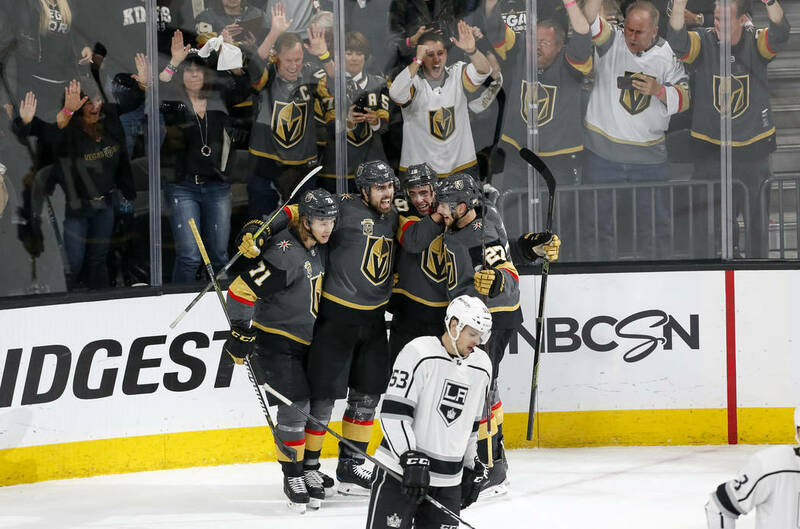 The victory gives the Knights a 2-0 lead in the best-of-seven Western Conference quarterfinal series, which continues at 7:30 p.m. Sunday at Staples Center in Los Angeles. 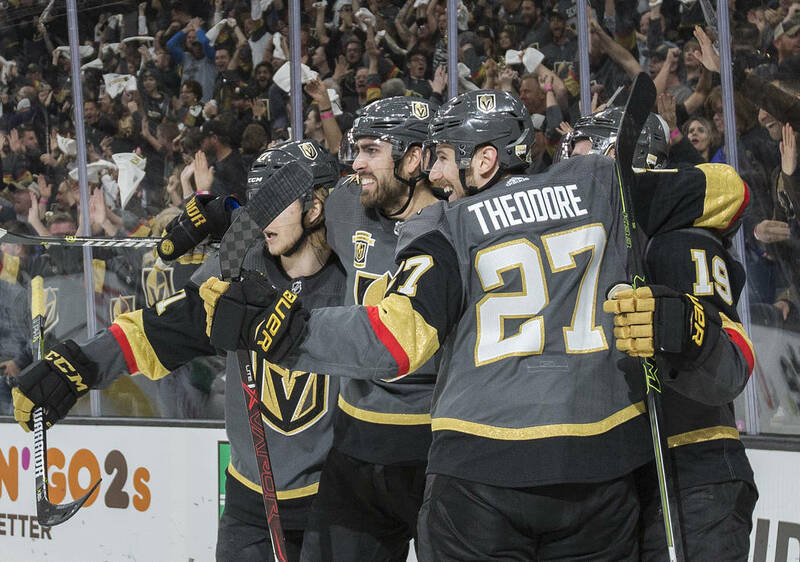 According to Elias Sports Bureau, teams that take a 2-0 lead at home in a best-of-seven series hold an all-time series record of 236-30 (88.7 percent). 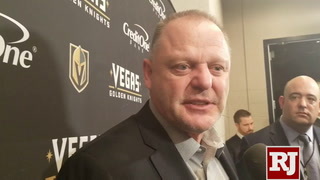 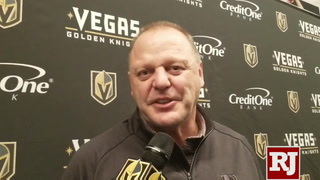 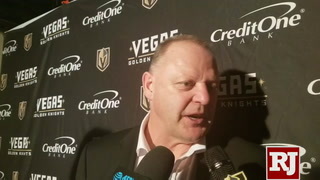 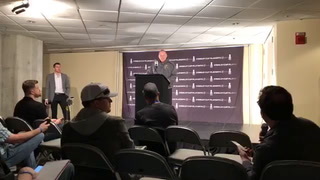 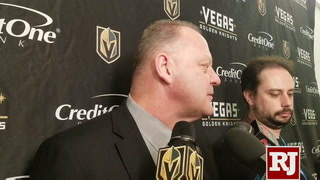 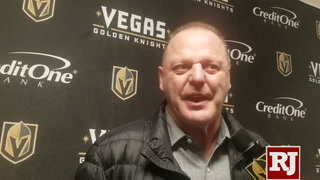 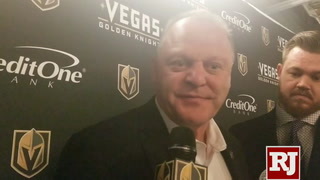 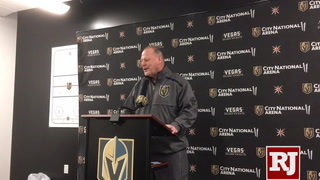 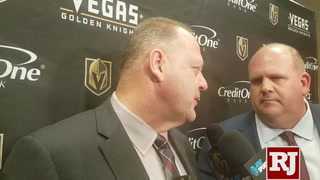 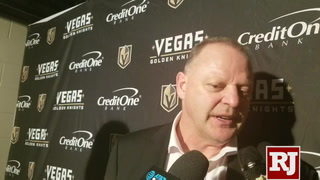 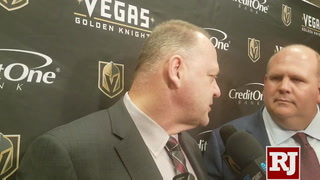 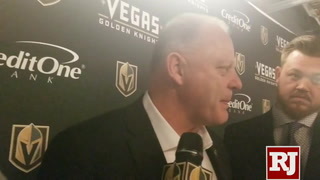 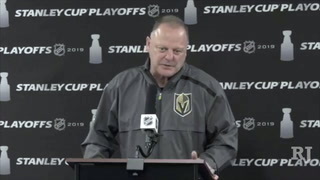 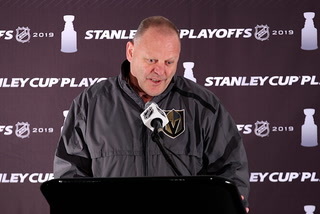 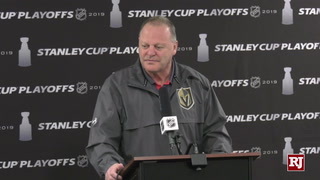 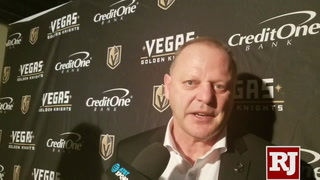 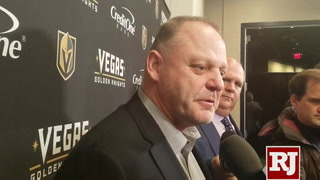 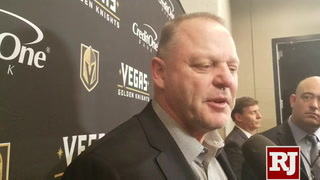 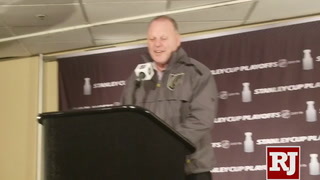 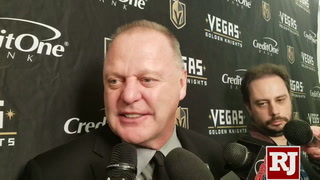 “It was huge,” Knights coach Gerard Gallant said. 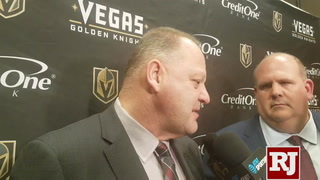 “We took care of our home-ice advantage, and that was a huge win tonight. 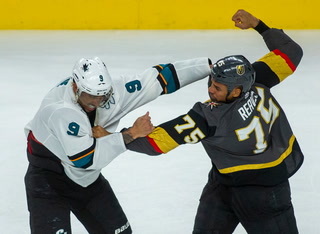 It was another great hockey game, and there’s two tired hockey teams, for sure. 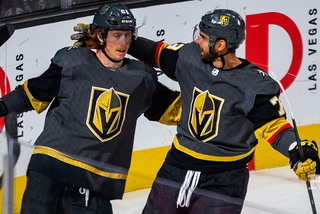 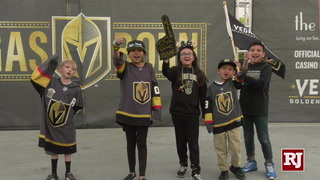 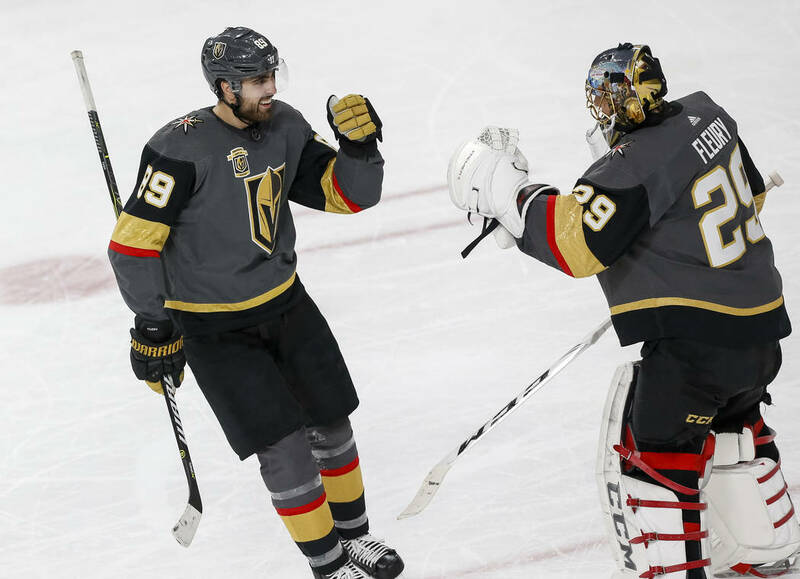 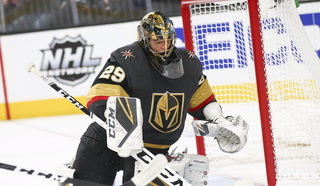 Alex Tuch scored a power-play goal in the first period, and goaltender Marc-Andre Fleury finished with 29 saves for the Knights. 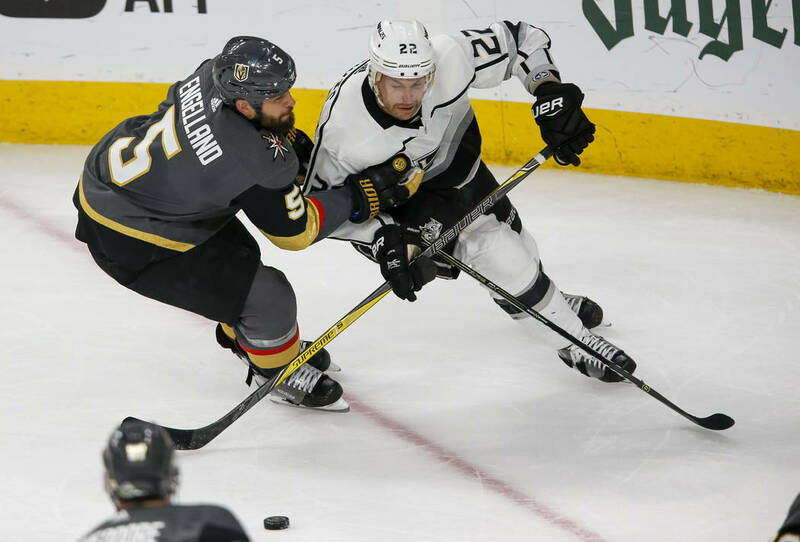 The Kings played without defenseman Drew Doughty, a Norris Trophy candidate who was suspended for his illegal check to the head of William Carrier in Game 1. 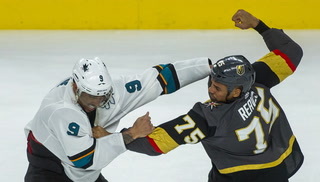 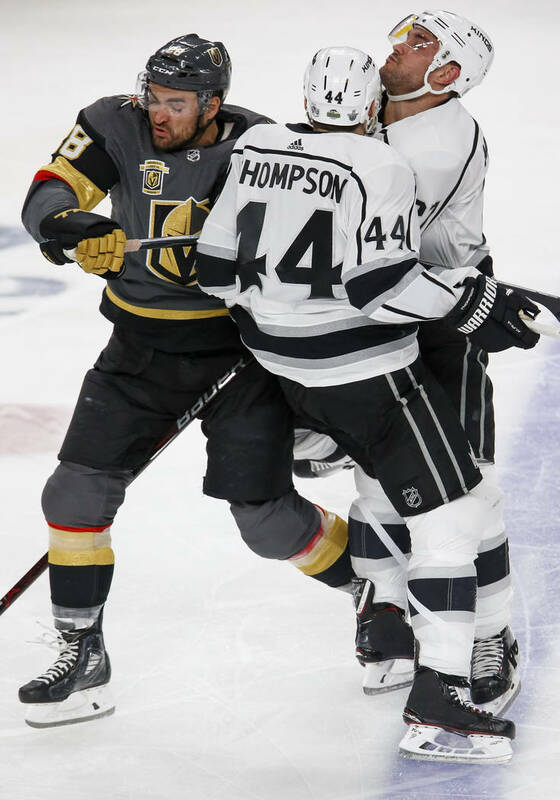 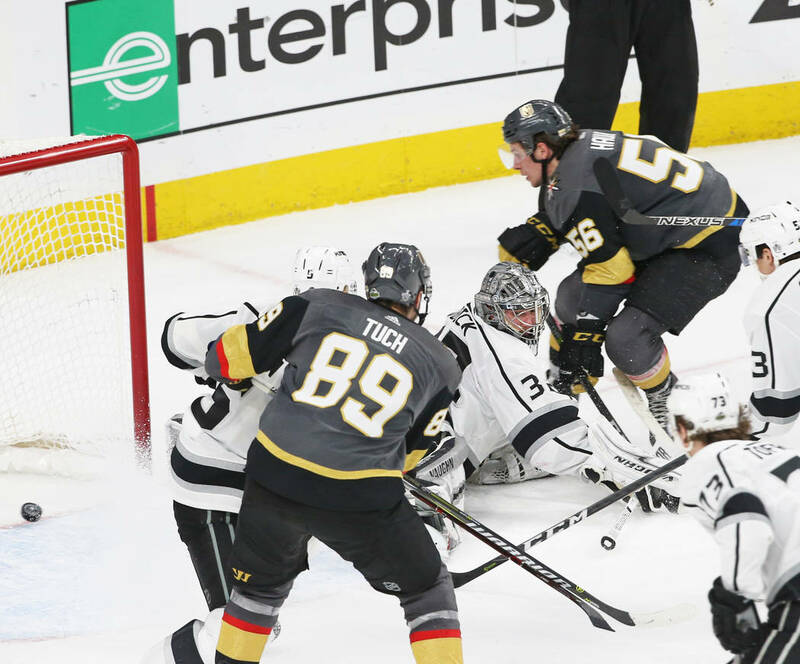 The Knights tried to take advantage of a Los Angeles defensive corps that featured four players with a combined five playoff games and finished with a 56-30 advantage in shots on goal. 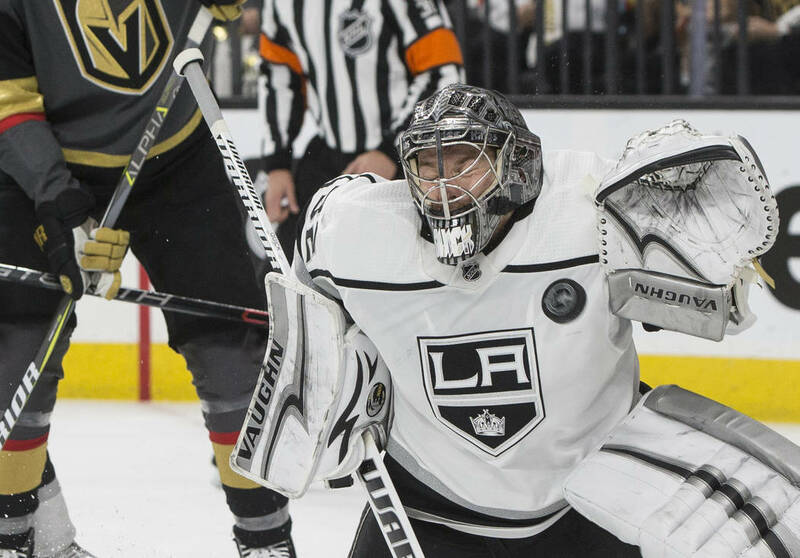 But Kings goaltender Jonathan Quick turned aside 54 shots and gave his team a chance to steal home-ice advantage until Haula’s winner. 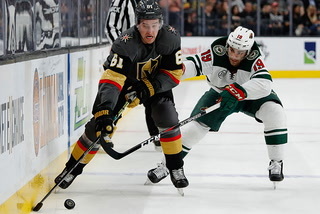 Haula, who finished one goal shy of 30 during the regular season, flew down the right wing and gathered a pass from James Neal. 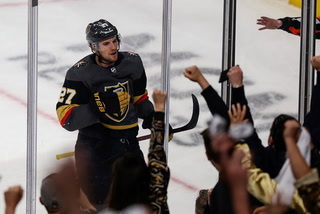 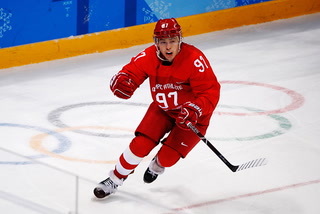 He faked a shot, then tucked the puck around Quick on his forehand for his seventh career goal in the postseason. 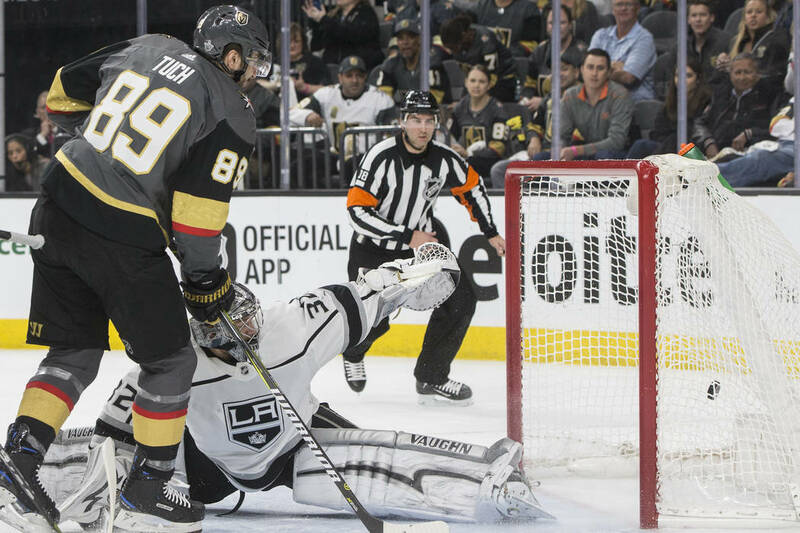 Neither team created many chances in a tight-checking third period, though Fleury was forced into a save on Anze Kopitar’s backhander with 5:30 remaining in regulation. 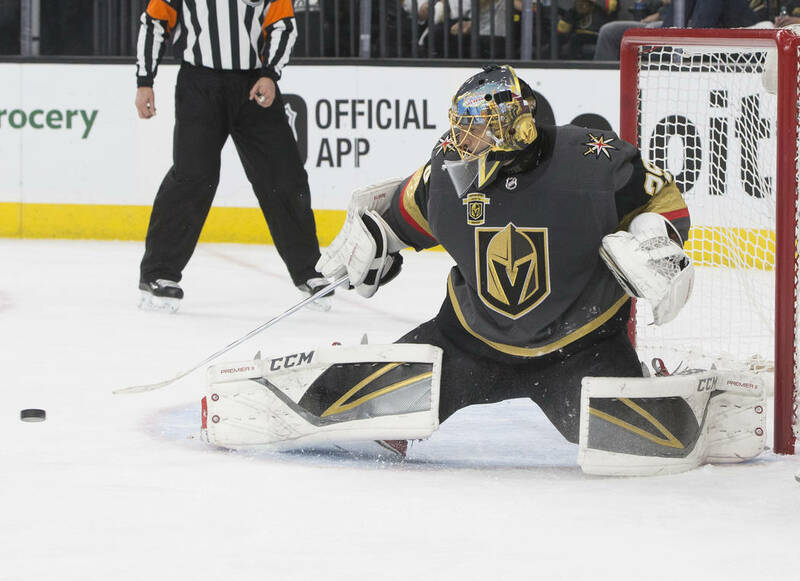 Quick made 13 saves in the first overtime, including a blocker save on Tomas Nosek’s shot with 11:45 left. 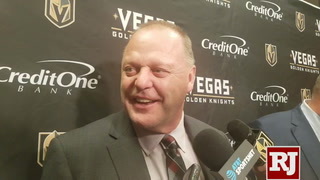 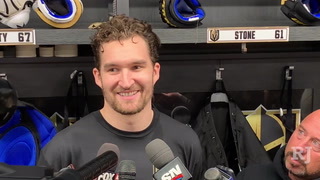 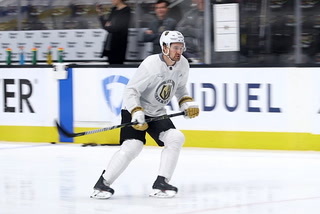 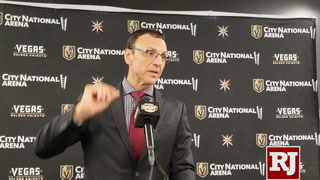 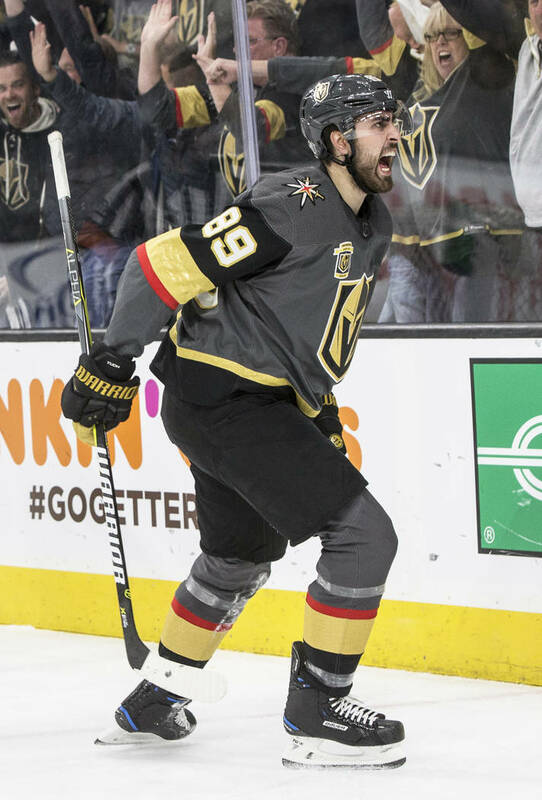 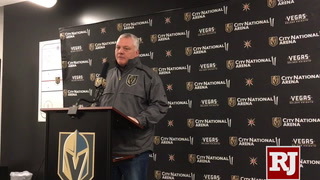 The Knights’ best chance in the extra session came with seven minutes remaining when Quick smothered Reilly Smith’s wrist shot from the right wing on an odd-man rush. 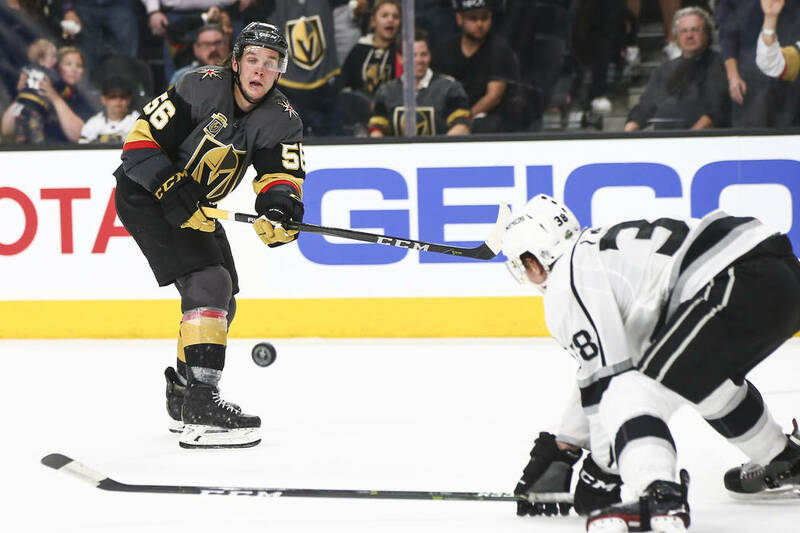 The Knights controlled play for most of the second period with a 26-9 advantage in shot attempts (74.3 Corsi For percentage) but were unable to pad their lead thanks to Quick. 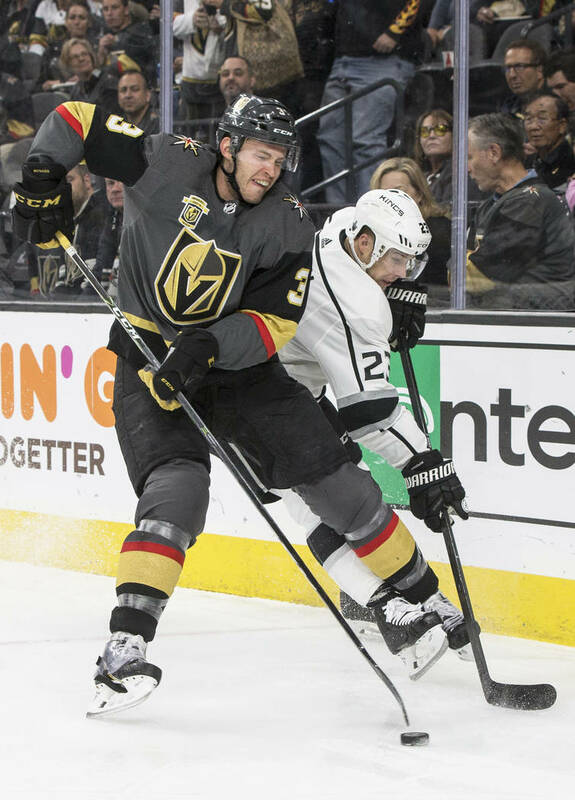 And Los Angeles made the Knights pay for their wastefulness with Knights defenseman Brayden McNabb in the penalty box for tripping. 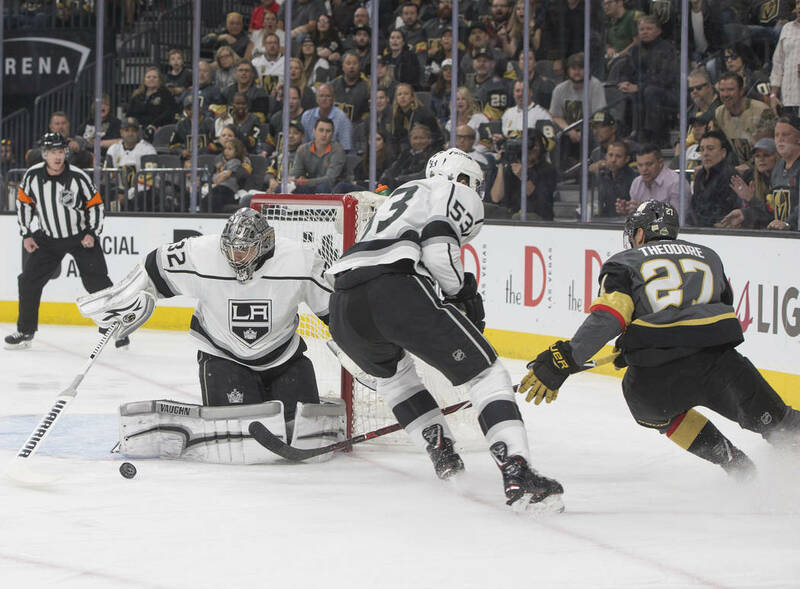 Kings defenseman Paul LaDue wristed a shot from the point, and the puck appeared to deflect off Deryk Engelland and past Fleury for the tying goal with 4:05 left in the second. 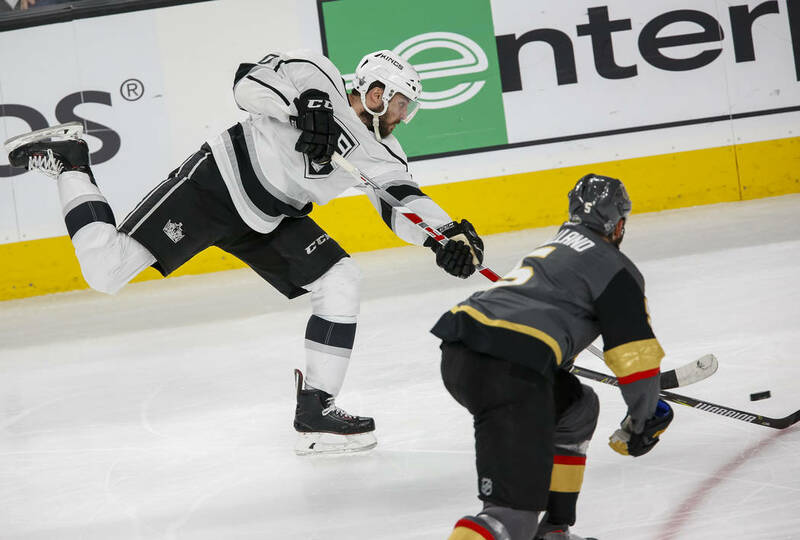 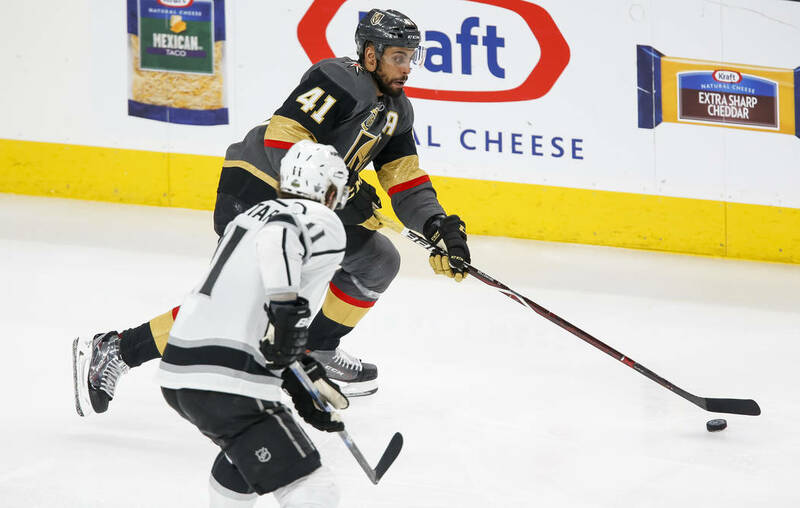 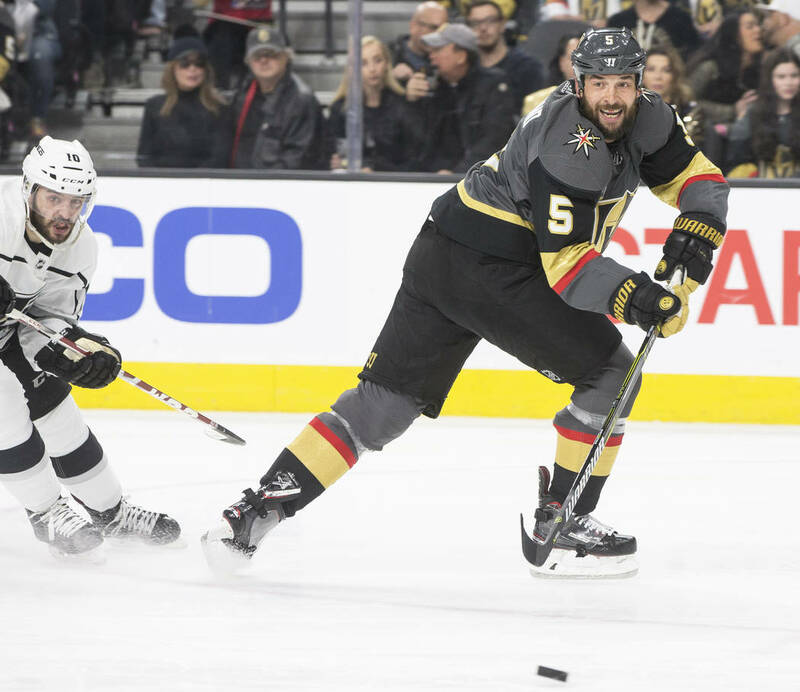 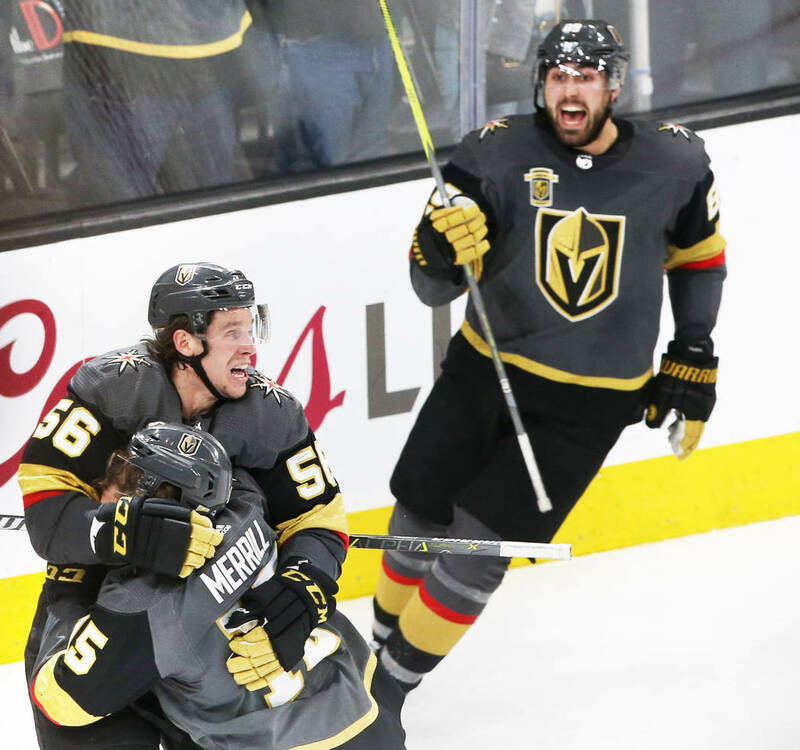 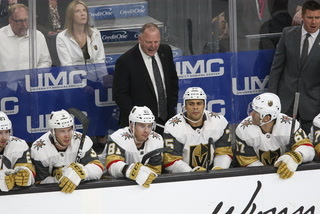 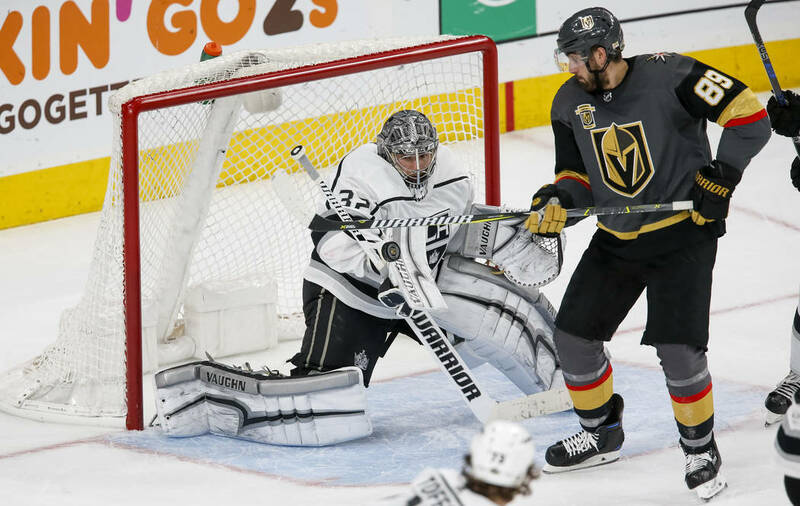 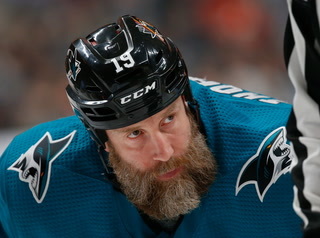 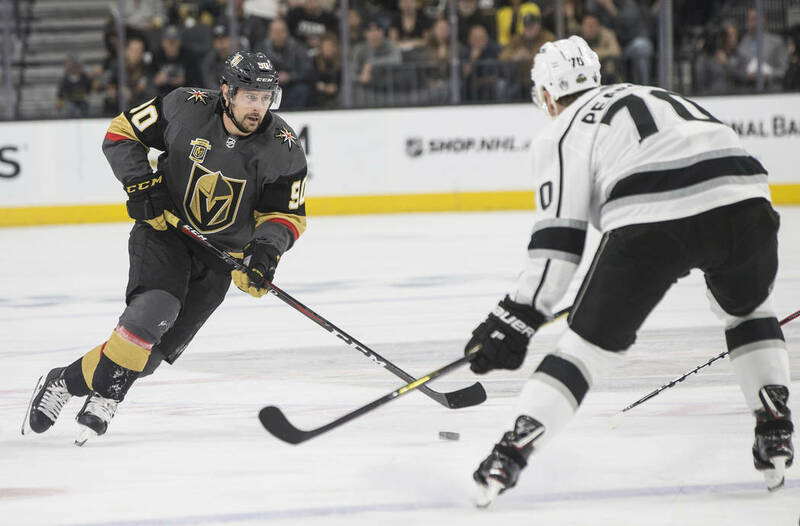 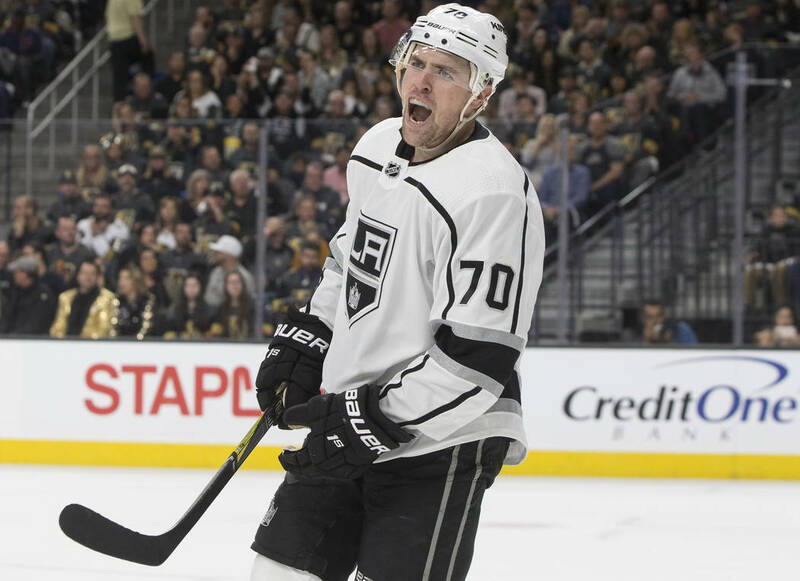 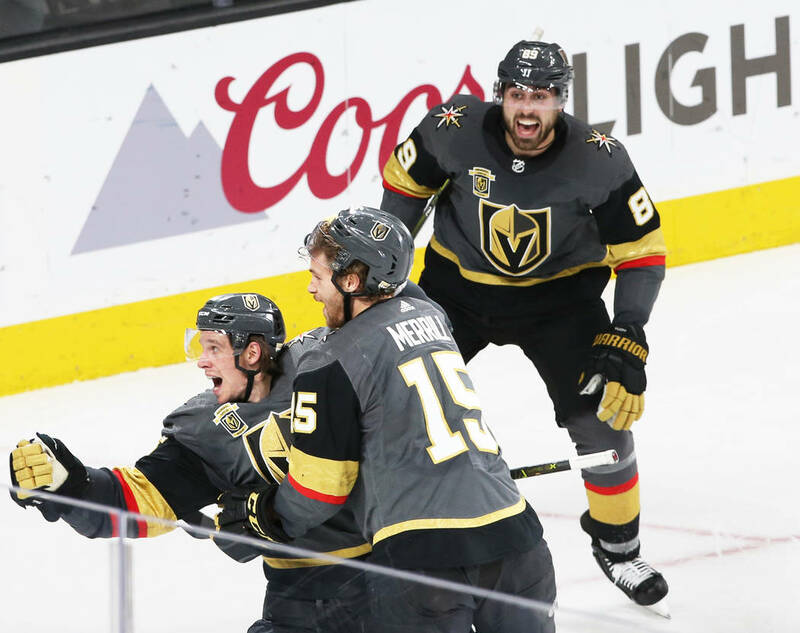 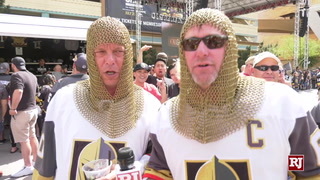 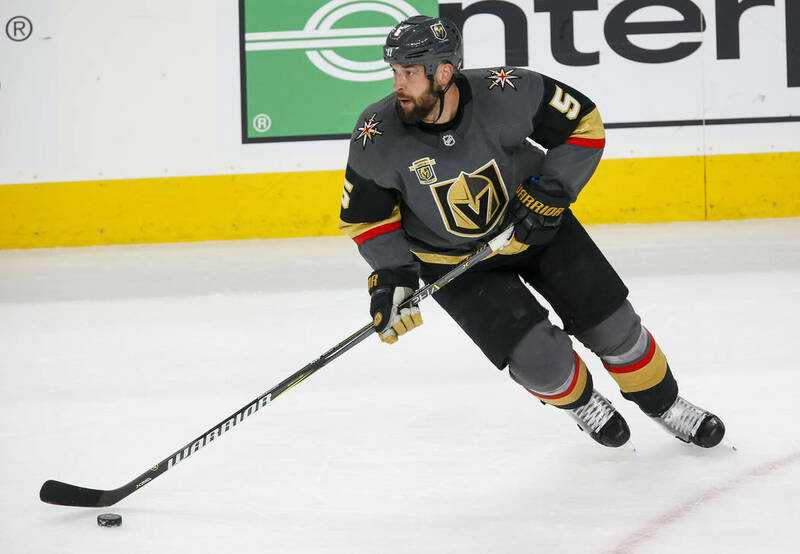 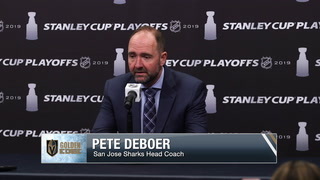 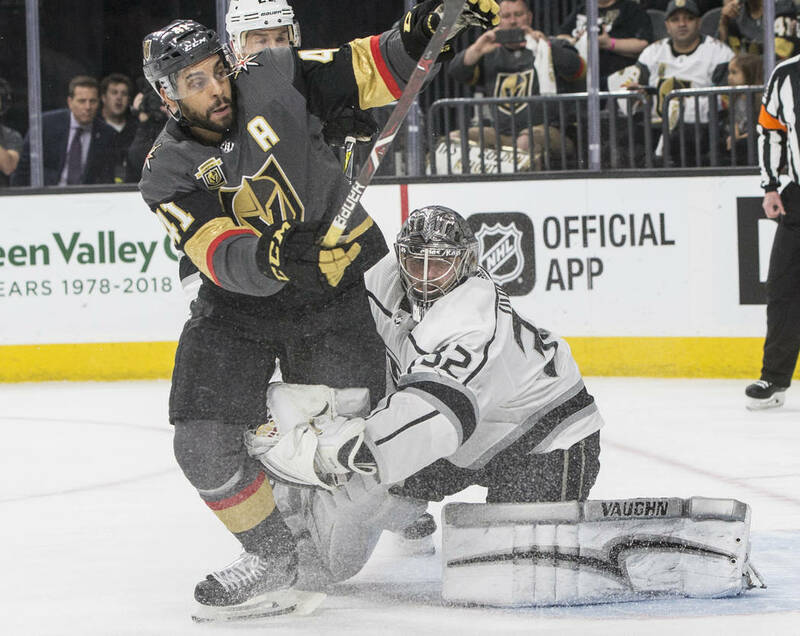 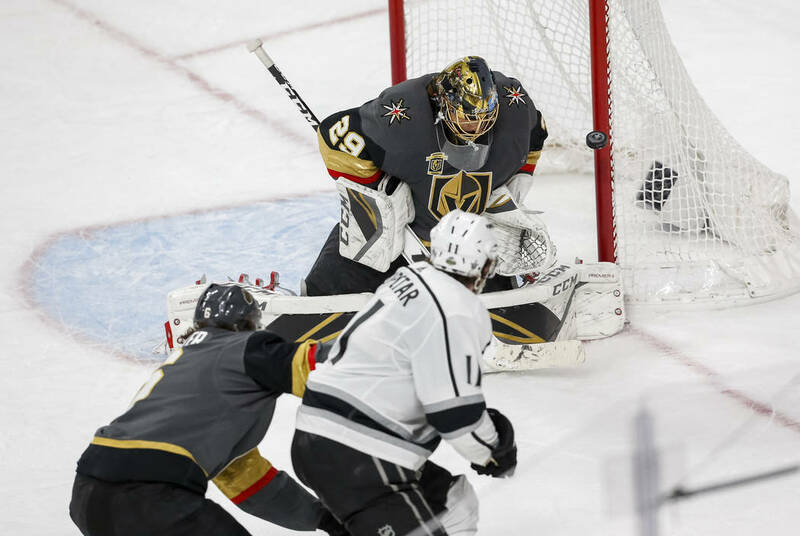 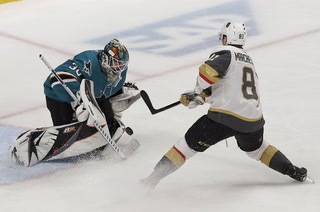 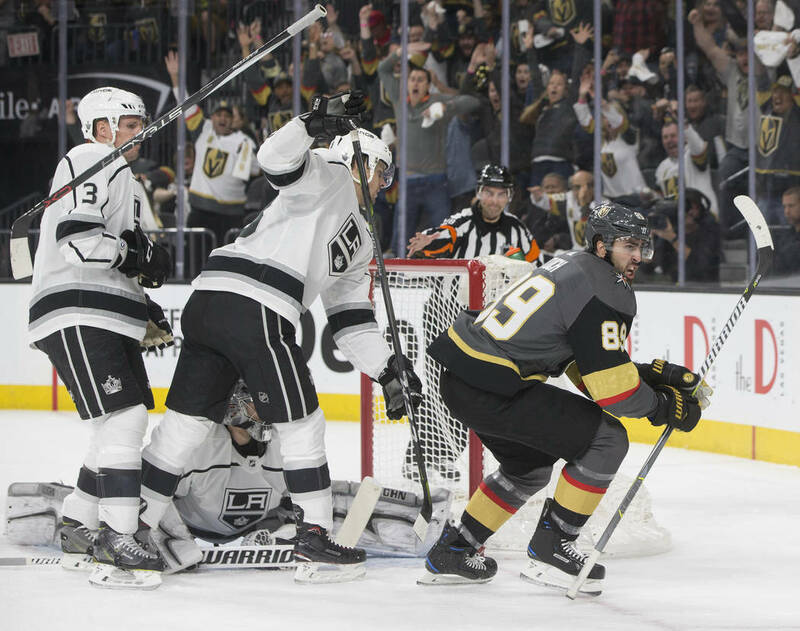 The Knights went 0-for-13 on the power play against Los Angeles during the regular season and failed to score on three attempts in Game 1 on Wednesday despite generating a handful of good chances. 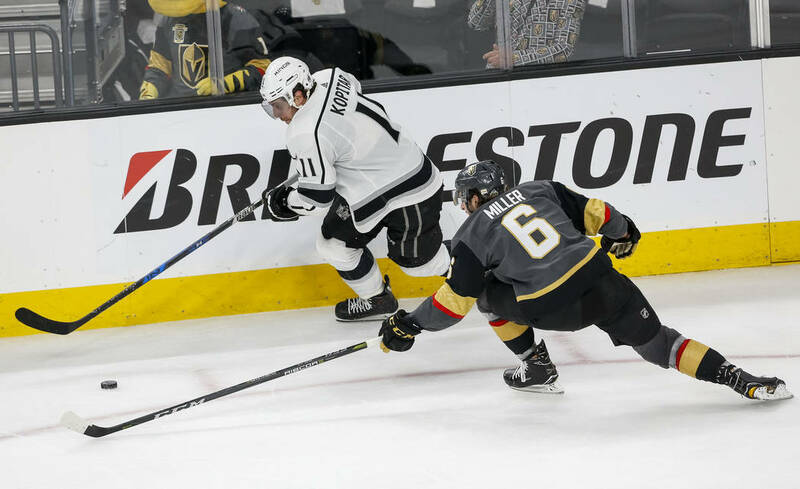 But the Knights finally solved the league’s top-ranked penalty-killing unit in the first period after Los Angeles’ Kyle Clifford was sent off for goaltender interference. 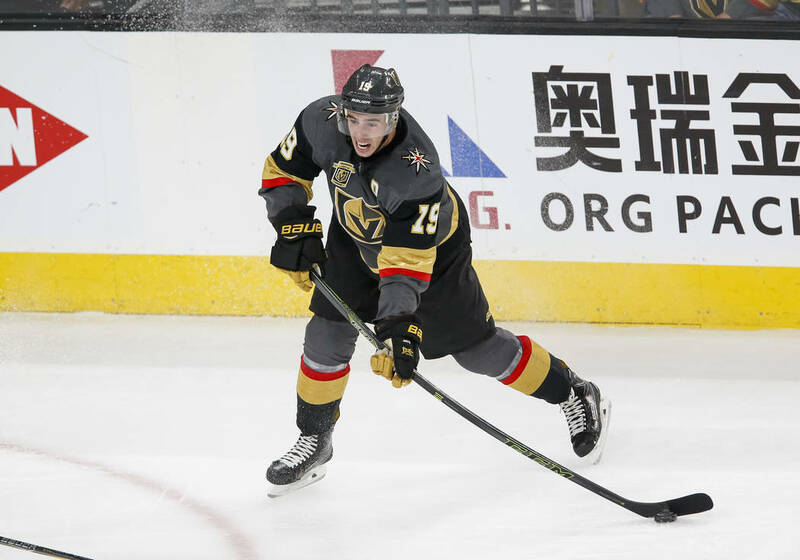 With time winding down on the penalty, Jonathan Marchessault fired a shot from the point that was tipped wide of the net. 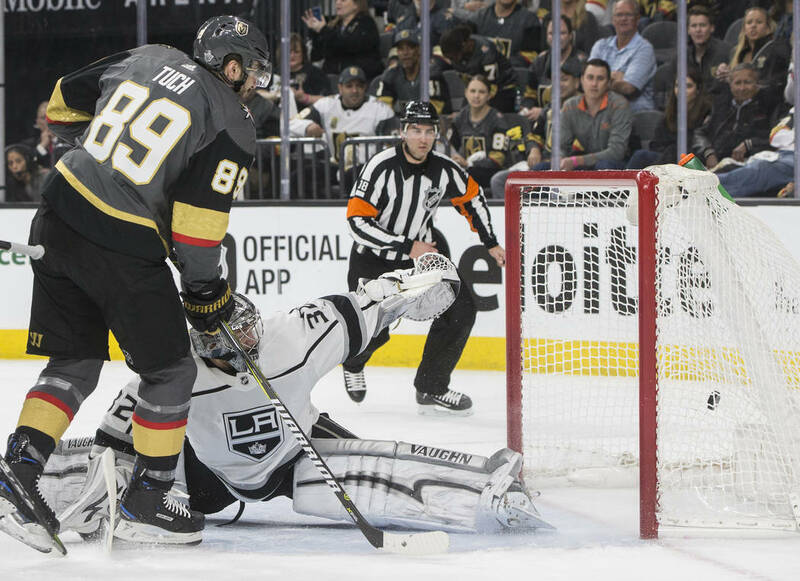 The puck took a hometown bounce off the end boards to Tuch at the top of the crease, and he banged it in with 5:13 remaining in the period for his first career playoff goal. 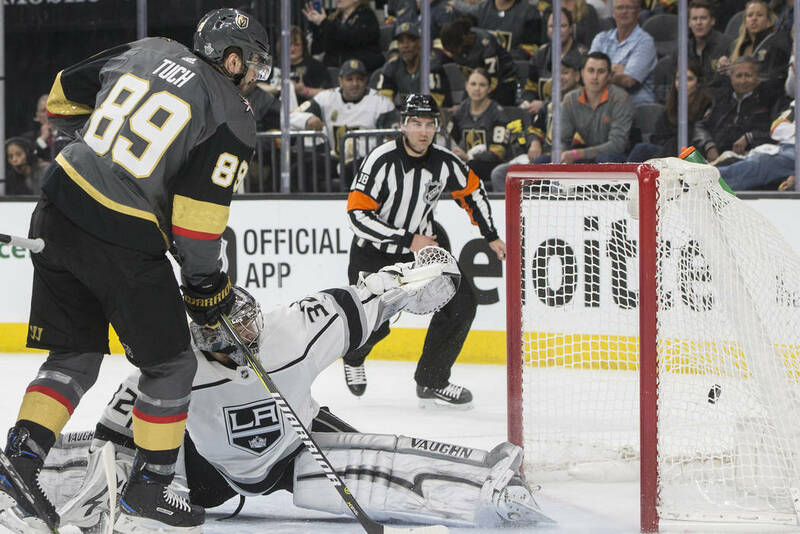 The Kings nearly tied the game late in the first during a power play, but Knights defenseman Deryk Engelland got a piece of Jeff Carter’s shot that was headed for an open net. 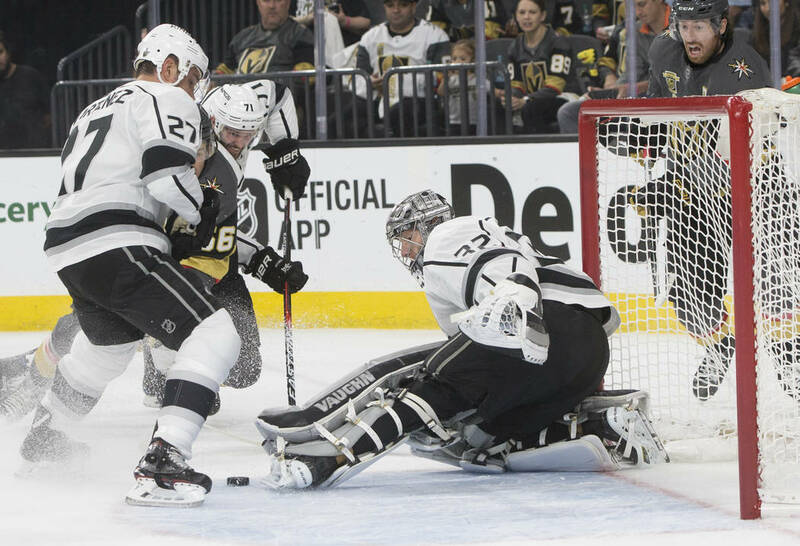 Fleury also turned away Dustin Brown’s backhander at the doorstep in the final 10 seconds of the period.